The book contains a general history of dogs and practical information on breeding, management, some common ailments of the dogs and their treatment. The emphasis of the book however is on breeds of dogs and their history. 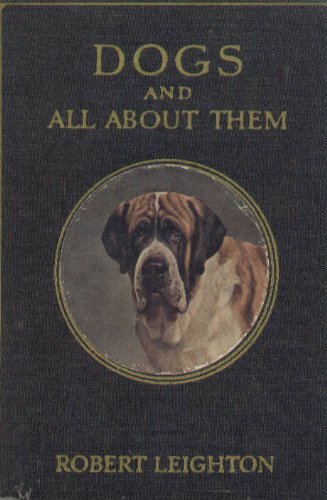 Over 50 different breeds are described in this book. by Samuel J. Holmes - P. Blakiston's son & co. This volume is intended as an introduction to the elements of animal biology for the use of students in the high school. The order in which the main topics are treated is essentially like that which is followed in several of the best recent textbooks. Some of the creatures living in deserts are known to be poisonous to man. The purpose of this book is to discuss the various poisonous dwellers of the desert, as well as to debunk some of the superstitions and misunderstandings which have developed. This book on animal diversity is based on the social constructivist theory of learning. This module is divided into units: General Characteristics of Animals, Evolutionary Trends in Animals, Classification of animals, and The Importance of Animals. Integrating research in ethology, ecology, and physiology, and synthesizing their relationship to vertebrate energetics and survival adapta­tions, this volume concen­trates on three survival-strategy themes in the life energetics of vertebrates.